The Department of Energy’s SunShot Initiative has been a boon for US solar, and a new program will take it further. SolSmart will recognize cities and counties that lead on solar, and offer free technical assistance to help more come on board. SolSmart Advisors’ technical staff will help 40 communities. Over three years, SolSmart will recognize more than 300 communities that make it easy to add solar to homes and businesses by cutting red tape and other "soft costs." Among the many benefits will be the ability to attract solar companies and the many jobs they create. With costs down significantly for solar manufacturing, soft costs like marketing, permits, inspections and zoning at the local level are the most expensive part of solar installation – as high as 57% of the total price for a solar system. Communities that apply for SolSmart but don’t qualify for designation will be referred to SolSmart Advisors for technical assistance. 10 states account for 87% of the solar installed in the US because of progressive policies like Renewable Portfolio Standards, net-metering, creative financing options and making it easy to connect solar systems to the grid. They are, in this order: California, North Carolina, Nevada, Massachusetts, New York, Arizona, Utah, Georgia, Texas and New Jersey. Arizona and Nevada utilities, however, won monthly fees and cuts to net metering that will likely severely reduce this growth. Then there are the laggards: 10 states with the least amount of solar installed even though they have lots of sun. They get an "F" for the lack of any facilitating policies and for putting barriers in the way: Alabama, Florida, Georgia, Indiana, Michigan, Oklahoma, Tennessee, Texas, Virginia, and Wisconsin. These states have 35% of US rooftop solar potential, but have just 6% of US rooftop capacity, says the Center for Biological Diversity in the report, Throwing Shade: 10 Sunny States Blocking Distributed Solar Development. Texas, which ranks #2 for rooftop solar potential is the worst, followed by Florida, which ranks #3. Combined, they could host 16% of US rooftop solar, but only have 2.7%. Georgia and Texas are on both lists because they have some large-scale solar, but fail on small, rooftop solar. 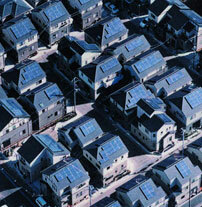 Read our article, 10 Significant State Policies for Distributed Solar Energy. As we have written about all too frequently, utilities and corporate interests [Koch Bros, ALEC] have been – and are – fighting to repeal or weaken policies, waging a war on rooftop solar. Because of this, 27 states are considering adding fees and eliminating net metering. 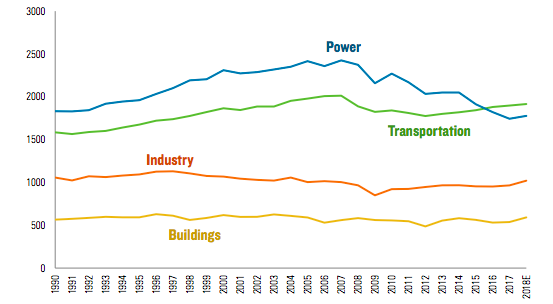 Over the past five years, the 25 largest utilities have spent over $400 milllion on federal lobbying (blocking the Clean Power Plan, for example) and on national and state elections, according to Investor Responsibility Research Center Institute (IRRC). Southern Company has spent the most at $65 million, followed by Duke Energy ($36 million), American Electric Power, Exelon and NextEra Energy. In 2014, Barclays downgraded the entire electric utility sector because of its stance toward solar.